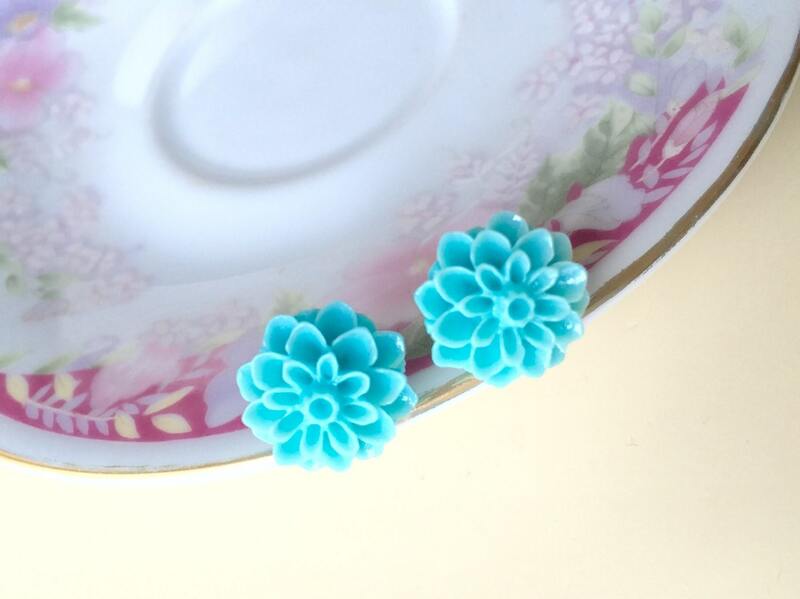 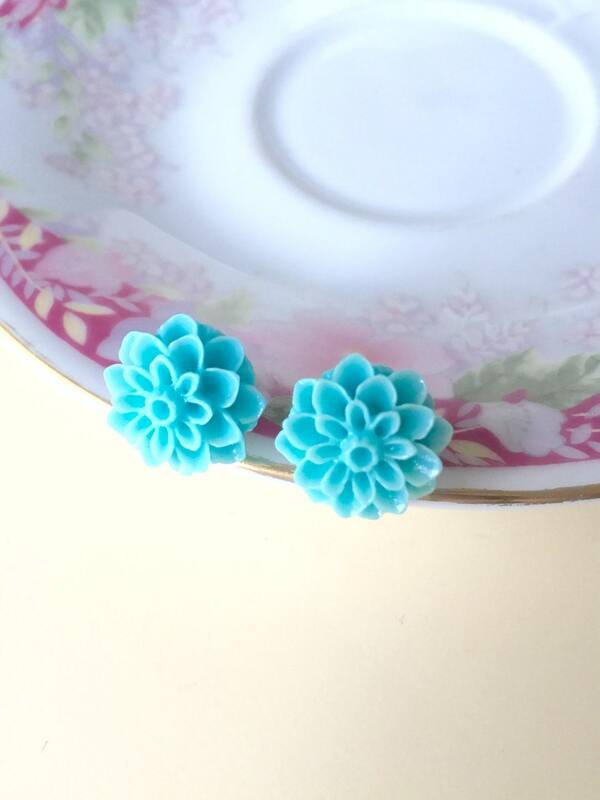 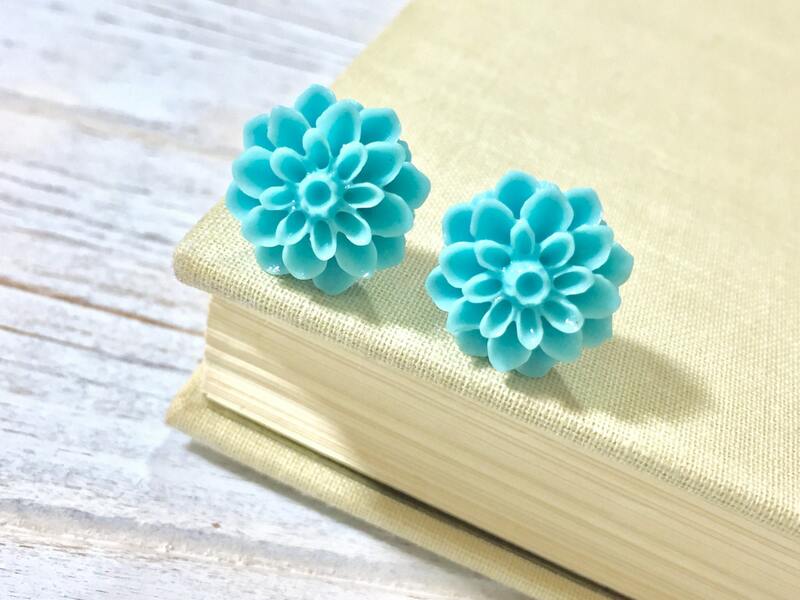 Gorgeous Chrysanthemum Flower Earrings in light teal measuring approximately 5/8 inches (16mm) have been attached to stainless surgical steel ear posts with professional grade jewelry epoxy. 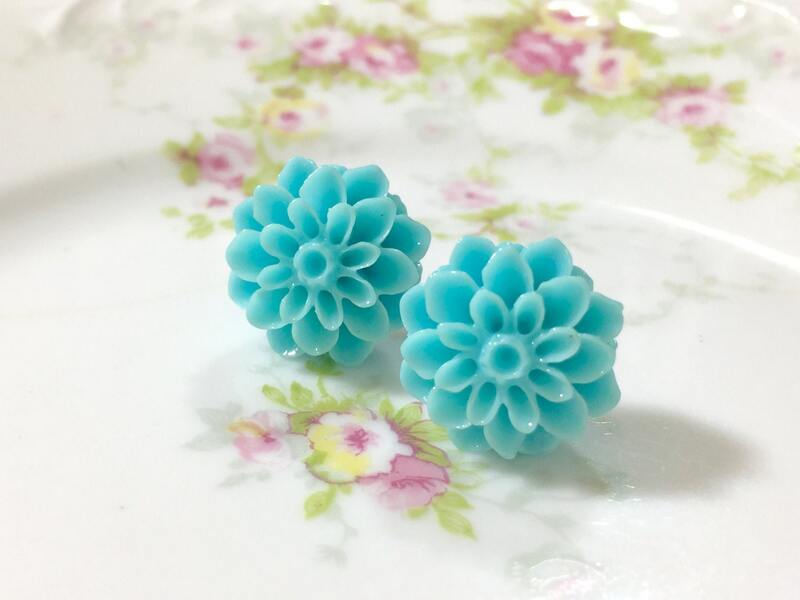 Please visit my post earrings section to find other colors of this flower. 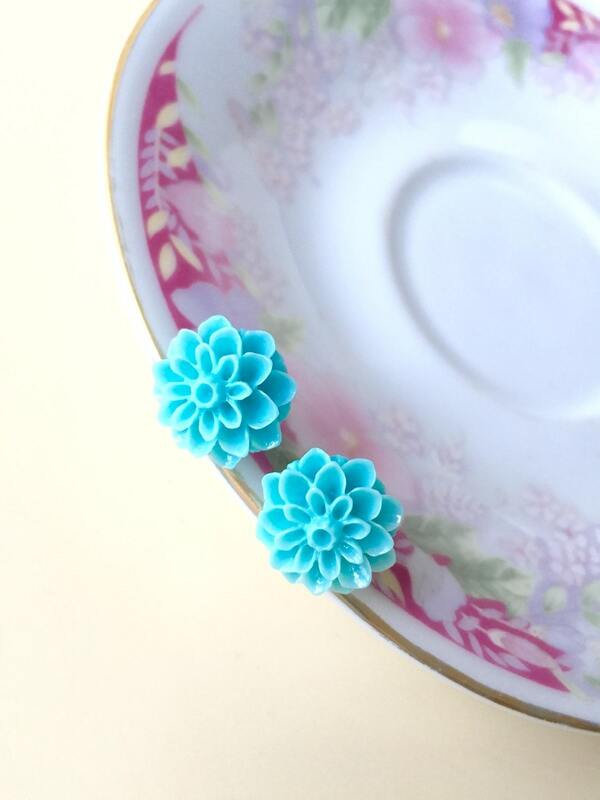 I have several available and add more colors as often as possible.